Andrea Dovizioso admits the superiority of Marc Márquez over his rivals in certain aspects, although he also relativizes it in order not to put up barriers on a mental level. 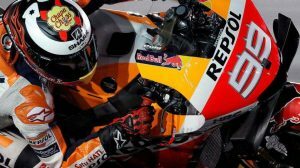 Last year, at this point of the season, the Italian had not even won one of the six great prizes that were awarded and that allowed him to fight for the title with Márquez until the last stop on the calendar. Andrea Dovizioso, on the other hand, is the only member of the grid that has been able to prevail over Honda’s Spanish in the three close duels he has had with him. Both in Austria and Japan, last year, as in Qatar, the opening date of this year championship, the Ducati rider was able to beat the Catalan in the first race. 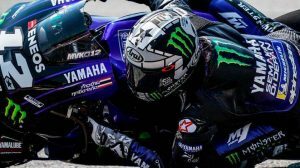 The fall he suffered in the last race, at Le Mans, when he was in front of the peloton, took him to 49 points behind from Márquez, the intractable leader of the table and winner of the last three races (Austin, Jerez, and Le Mans). Despite the difference that seems to be at this time between the boy from Cervera and the rest of his rivals, Andrea Dovizioso does not classify him as unbeatable, if only to not put himself in an extra obstacle, in this mental case. “It’s impossible to know how fast a rider who has another motorcycle is. You can have an opinion, a feeling, of the other motorcycle and yours. But it is not possible to have an exact perception of who is going faster, “replies Dovizioso when asked about the speed that the current champion is demonstrating in absolute terms. 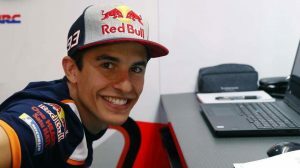 “That Márquez is very strong in all areas and that in certain aspects he is superior to everyone else, that is evident. For example, he is the only one capable of saving so many falls and he is the only one who falls so much in the practices and so little in the races “, continues the pilot from Forli, with his usual clairvoyance. “But how strong is he or is he the strongest of all? I do not want to think about it because, if not, how am I going to consider winning the World Cup? “Continues Dovi, who in any way does not hide the solidity of #93. “When someone like Marc wins like he did in Le Mans, and Honda’s second (Pedrosa, who finished the fifth) finishes more than seven seconds, that means he’s the one who made the difference”, ditch the runner-up.